Enhance your photos with Soft4Boost Photo Studio. 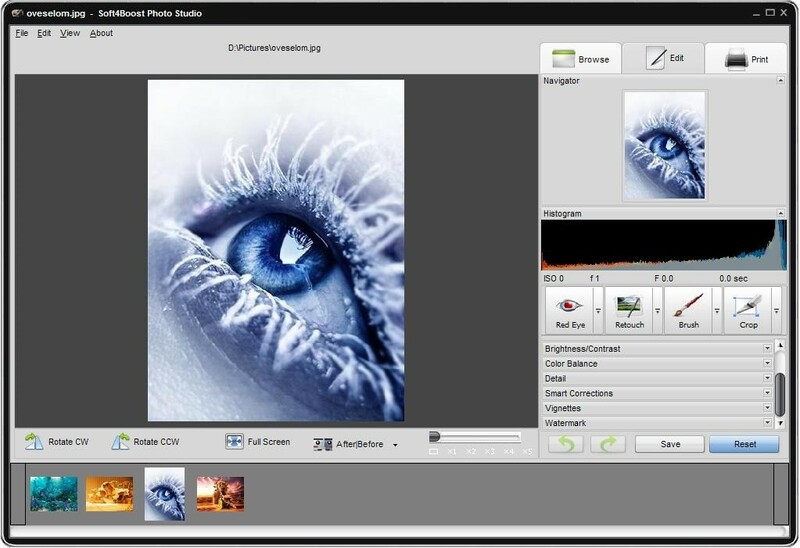 Utilise powerful photo editing features to create beautiful professional-looking photos in minutes. Resize, crop, retouch, adjust color, contrast and brightness, remove red-eye, enhance photo details, use smart corrections, add vignetting, add watermarks, and much more. Support for popular image formats: Edit JPG, PNG, BMP, TIFF, PNG, GIF, and more. Edit and adjust photos with red eye, retouching, brush and crop tools. See your photo before and after.